We offer a wide range of services to help you run a successful book promotion. What has Rukia Publishing got to offer self-published authors? We offer Author Coaching Services. This is a 6-8 week course dependent on each individual author. We offer a FREE 1/2 Hr. Consultation to discuss your needs. This can be done over the phone, or through Facebook Messaging. Pricing is set. Get in touch with a marketing professional today! Send an email! Or connect with us on Facebook! We also offer low cost but effective book promotions that will fit any authors budget! We offer a range of free services and tailor-made paid book promotion services for self-published authors depending on their needs and budget. Most authors tend to start with the free options and move on to the paid options on a pay as you go basis. There is no contractual commitment or restrictive time frame which enable authors to utilize exactly what they want, when they need it. Click here! We are an ever evolving team and you will probably see some authors you know who also take part in retweeting with #RPBP. We have an extended reach through our team of twitter friends, using two tweet decks of multiple author platforms and several individualized hashtags. Feel free to ask any questions and if you have any particular areas of book promotion that you would like to address then we would be happy to target them with you. What else might you need? How about Book Reviews? Although we don't offer this service here, we have an ever growing list of places you can apply to! Go to our Reviewers Page! Writing Times is an upcoming literary magazine and go to source for current news and reviews, professional writing services and a range of writing resources. It is where ambitious writers can find expert advice, competitions, event listings and online exclusive articles. Writing Times offers commercial copywriting and proofreading services to students, job seekers and businesses. We also offer the best industry advice for writers and artists, and host a range of editorial services for every stage of your writing journey. Cat's Edits. My name is Catherine Lenderi. I have been working as an English teacher since 1998 and I have frequently been employed as a freelance editor / proofreader. On my website in the "Books" section you can see some of the books I have recently worked on and the authors' testimonies regarding my services. I am looking forward to working with talented authors of all genres. What can I offer authors? 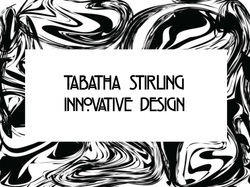 Tabatha Stirling started her design company, Tabatha Designs, in late 2013. A background in graphics, art directing and herself an author, Tabatha has a unique connection to authors and their design needs. Please view a few of the sample covers at tabathadesign.tumblr.com We operate a sliding scale for fees depending on the length of project. Please contact tabathadesigns@gmail.com for more information. ‘Every cover I design is worked on with the premise that it will good enough to be on a shelf at Waterstones. It has to be perfect’. ‘I understand how precious a book is to its author. This is a piece of work that has sometimes taken years of sacrifice to come to fruition. It is an incredibly hard process and authors need to be treated with respect’. Two dogs and a suitcase: Clueless in Charente was designed and produced by Tabatha and she is currently working on a revamped cover for the relaunch of Glass Half Full: Our Australian Adventure.